Tennessee Education Commissioner Candice McQueen, right, has said the local school district has not seen the progress with its priority schools that other districts have. Tennessee's commissioner of education, Candice McQueen, will be testifying Tuesday at a hearing of the Senate education committee, which he chairs, on innovative approaches states are pursuing in their new state plans for holding schools accountable under the Every Student Succeeds Act (ESSA) – the law U.S. Sen. Lamar Alexander sponsored that fixed No Child Left Behind. "In the last few years, Tennessee has led the nation in improving its schools, and in my opinion, Tennessee has done it again," Alexander said. "When ESSA passed the Senate in 2015, I said, 'Today, we are unleashing a new era of innovation and excellence in student achievement – one that recognizes that the path to higher standards, better teaching and real accountability is classroom by classroom, community by community, and state by state – and not through Washington, D.C.' This week, the Senate education committee will hold a hearing to hear how states are innovating under the new law. Out of the first fifteen plans approved under ESSA, based upon my review and that of my staff, Tennessee was one of the nation's best examples of how to take advantage of the freedom to innovate under the new law – and we're fortunate Tennessee's education commissioner, Candice McQueen, will testify before the education committee to talk about what Tennessee plans to do." On August 30, the U.S. Education Department approved Tennessee's new state education plan under ESSA. "This is an exciting day for Tennessee students. 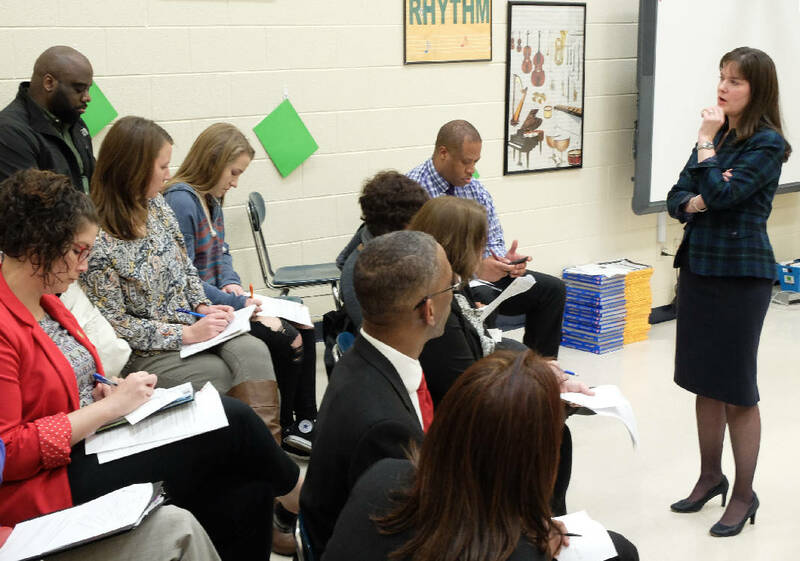 With the approval of its new state plan under the Every Student Succeeds Act, Tennesseans are back in the driver's seat for decisions on how to help Tennessee students learn and how to get talented teachers into our classrooms. This new law and this new Education Department both recognize that the path to higher standards, better teaching and real accountability is through classrooms, communities, and states, where decisions are made by people closest to our children and not through a distant department in Washington, D.C.," Alexander said. As chairman of the Senate education committee, Alexander was the primary Republican sponsor of the Every Student Succeeds Act, which passed in 2015 and "reversed the trend toward a National School Board run from Washington, D.C."
The legislation was called the largest devolution of federal control to states in a quarter century by the Wall Street Journal Editorial Board. The Every Student Succeeds Act of 2015 ends federal interference in state standards and ends the federal mandates on states to adopt the Common Core State Standards.